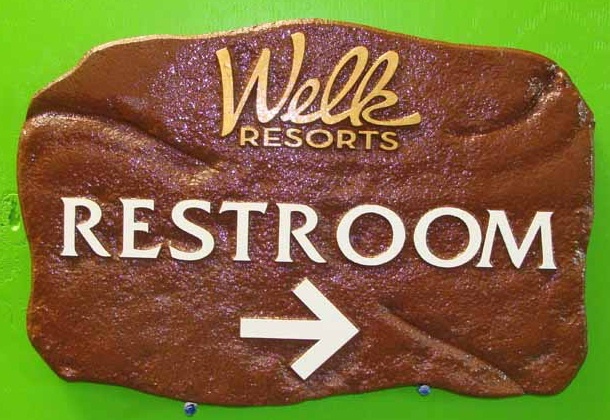 Shown above is a hand-carved 3-D High-Density-Urethane (HDU) restroom wayfinding sign for the Lawrence Welk Resort in San Diego. It features a rustic sculpted rock-shaped signboard with raised text , arrow and artwork. This sign is hand-painted dark brown and white and clear-coated twice. This is mounted on two posts behind the sign.